Peter Culley lived in South Wellington, near Nanaimo, since the age of 14. Born in 1958, he had grown up on RCAF bases in Ontario, Alberta, Saskatchewan and Scotland. His lyrical poems in Hammertown (New Star, 2003) re-imagined his hometown of Nanaimo, where he lived since 1972, and took their collective title from the fictionalized port on Vancouver Island that was visited by George Perec in his Life: A User's Manual. Culley was also influenced by other B.C. poets who have written about particular places; such as Daphne Marlatt's book on Steveston with photographer Robert Minden, Prince George-raised Brian Fawcett writing "Cottonwood Canyon" and George Stanley views of Terrace. The Age of Briggs and Stratton (New Star, 2008), as the second book in his Hammertown series, takes its title from the noise pollution from two-stroke engine-powered lawnmowers and leaf blowers that contribute to the decline of Nanaimo wrought by development and gentrification. Parkway (New Star 2013) completed his "Hammertown" trilogy. In an interview with Rob Mclennan he credited Rolf Maurer, his editor at New Star, for being "remarkably free of publisher/editor vanity, so his very occasional and poetry suggestions carry great weight. In prose a good editor is essential for everyone but very hard to find and an insufficiently honored calling. The world needs patient editors much more than it needs bright new talent." 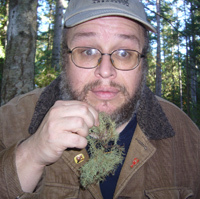 Previously Culley wrote Twenty-one (Oolican 1980), Fruit Dots (Tsunami 1985), Natural History (Fissure 1986) and The Climax Forest (Leech, 1995). As a critic Culley wrote extensively on such artists as Stan Douglas, Roy Arden, Kelly Wood and Geoffrey Farmer. Co-published with Presentation House Gallery in North Vancouver, Peter Culley's To The Dogs (Arsenal 2008) contains 150 full-page photos of dogs, both historical and contemporary, along with an essay by Culley about the international citizenry of canines and their connections to humans. That year he cited his literary influences as "OED, The Bible, Lee Ann Brown, Walter Benjamin, William Blake, Hugh MacDiarmid, Mina Loy, Clark Coolidge, Bernadette Mayer, Gerry Gilbert, John Clare, John Wieners, Susan Howe, Ted Berrigan, James Thomson, Margaret Avison, James Schuyler, William Cowper, William Hazlitt, Charlotte Mew, Edward Lear, Jack Spicer, Thomas Bewick, Emily Dickinson, Basil Bunting and Arthur Mee's Children's Encyclopedia." Peter Culley died in April 24, 2015, prior to the publication of a new poetry anthology from Leaf Press to which he contributed. Adrian Dix, MLA for Vancouver Kingsway, said in the Provincial Legislature: "I rise today to note the passing of Peter Culley, one of British Columbia and Canada's most remarkable poets, writers and visual artists. Peter passed away in Nanaimo - or more particularly, as he would say, in the former coal mining town at South Wellington - last Friday at the age of 57. Peter Culley's work evoked the lives of working people and communities, both full of heart and social and political context. He was an innovator in form and unafraid to challenge conventional norms or be underappreciated in his time. He was always generous in his support of other writers in the community. His Hammertown trilogy breathes life into a city resembling Nanaimo and a province resembling B.C. The best way to mark his passing is to pick up these three books - Hammertown, The Age of Briggs and Stratton and Parkway - and be challenged and inspired. I know members of the House will join me in sending our thoughts and best wishes to Daphne, Peter's children and grandchildren." The Climax Forest (Leech, 1995).